A good number of stakeholders joined last March 20th a lively discussion during a whole working day at the incredible International Museum and Library of Music. Among them Bologna Welcome, which is the destination management organization, the Foundation for Urban Innovation (former Urban Center Bologna), Fondazione Rusconi, Teatro Comunale, Academy of Fine Arts, Fondazione Alma Mater, as we all events like Itacà (festival of responsible tourism) and Bologna Design Week plus a number of professionals in the fields of communication and culture. Of course, staff from several departments of the Municipality of Bologna and the University were attending as well. After the opening by Francesca Bruni, head of culture department and head of the ROCK project, Roberto Grandi, who is now president of Bologna Museums Institution, and designer Michele Pastore set the ground describing the efforts made by the city of Bologna in constructing a more compelling urban identity. It reached to a peak in 2014 with the launch of a groundbreaking visual identity, which is an alphabet indeed rather than a conventional logotype. Nonetheless, as in many other cities, this is still a work in progress, and there is much to do concerning branding and communicating Bologna more efficiently. For instance, in terms of stakeholder involvement and mix of communication channels and actions. 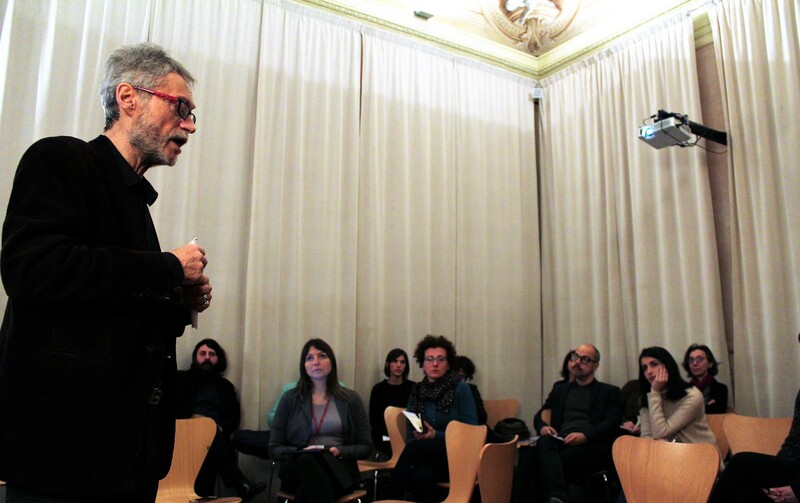 At that point the discussion was focused on the Zamboni area, which is Bologna´s target area for the ROCK project. 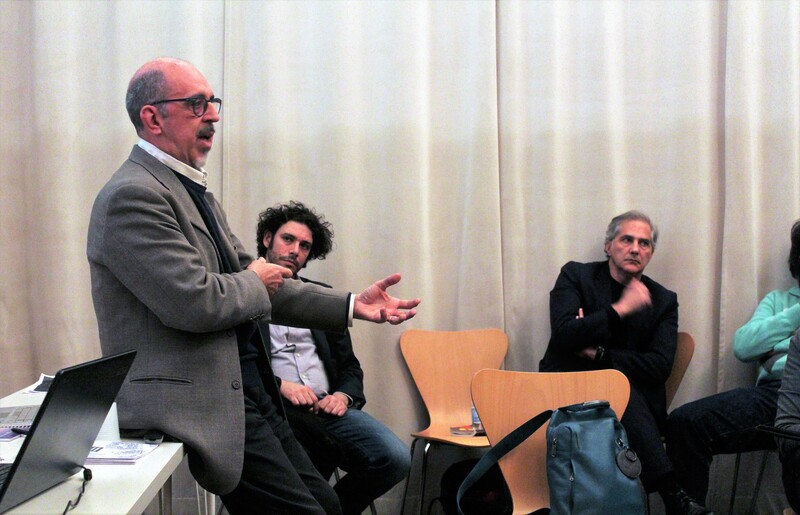 Everyone convened that the right way is not so much creating a specific district brand, but fully activating the area as a main contributor to Bologna´s brand content. Having agreed that, it´s also clear that urban and district regeneration is a match that should be also played in the arena of communications, through a conscious, multi-target communication strategy. To that purpose, innovative place branding can provide useful approaches and techniques. In fact, the growth of place branding as practice in urban management has been closely linked to urban economies that have reacted to stagnation and decline, and therefore undergoing transition and regeneration. Those techniques were introduced at the seminar by the ROCK partner Grupo TASO. In this regard, one of the key messages from TASO partner Miguel Rivas is that place branding is basically a matter of building up a compelling narrative to then crowdsource and spread good stories consistent with that “big narrative”. Stories not only about “who we are” but most importantly on “who we want to be”. That is, real stories from and about Zamboni as an area in transition, envisioning the vibrant cultural and creative district we want to achieve in the medium term. 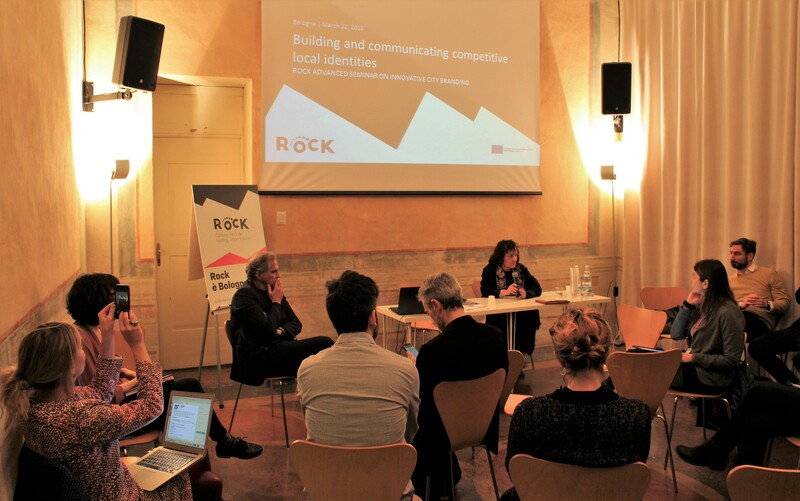 In this respect, the ROCK living labs, U-Lab in the case of Bologna, can be instrumental in order to unveil, promote and gather compelling stories of that kind - along with another communication-oriented platforms like La Via Zamboni. By the way, the ROCK toolkit to branding CH-led urban development (one of the expected project deliverables) is being shaped to support storytelling. More precisely, stories that connect heritage to future-oriented issues - ranging from contemporary arts, entrepreneurship and technology to civic uses and social innovation. In short, the aim is to expand the use of cultural heritage as a driver when branding and marketing the city. Two brilliant presentations, by Cécile Houpert from Eurocities and professor of cultural economics and founder of Tools for Culture Michele Trimarchi, were particularly useful to feed that broader understanding on the meaning of culture and cultural management in modern urban societies.